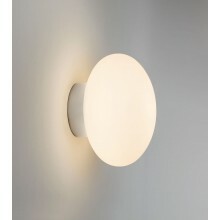 This wall light has a curved white glass diffuser that stretches across its surface to give it a contemporary appeal. It comes standard with an integral pull-cord switch. It uses 2x40w E14 lamps. 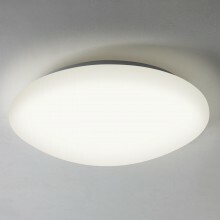 This is suitable for bathroom use in zones 2 and 3, meaning it is safe near water, as well as steam and dust given its double insulated construction (Class 2 fixture). Direct water contact should be avoided. 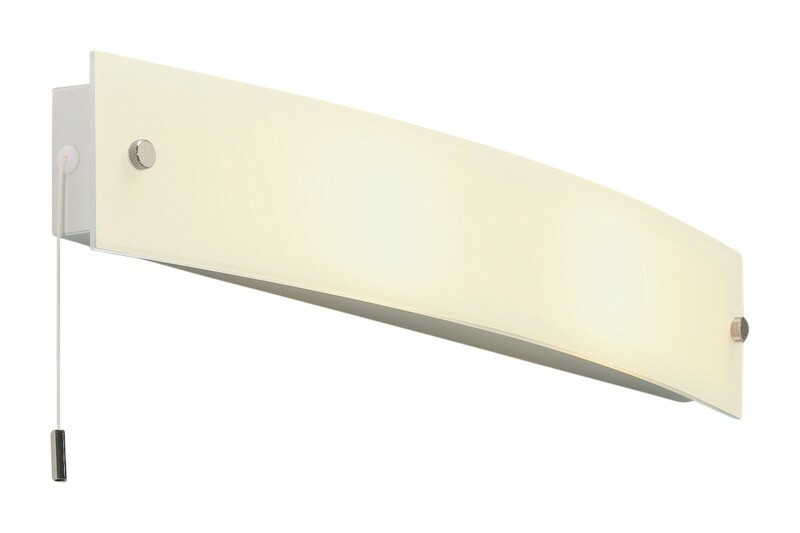 This is a sleek wall light that aptly suits earthy tones and can liven muted colours.